Thank you from FRANCE ! Idromed 5 ps has changed my life! Posted: Sat Feb 01, 2014 11:15 am Post subject: Thank you from FRANCE ! Idromed 5 ps has changed my life! I bought Idromed 5 ps has changed my life! I bought it in 4 years ago, because I had another device whose processing time was longer (45 ') whereas with this new device, in fifteen minutes it's over, and current hurts less. And I made ​​the treatment of the hands and feet at the same time, when I start the treatment I set the figure of 18, and at the beginning I did all day, then once every two days etc., up to once a week and it works very well. I am French forgive me for my bad English language, but after 4 years of ulitisation if I can help it will be with pleasure! 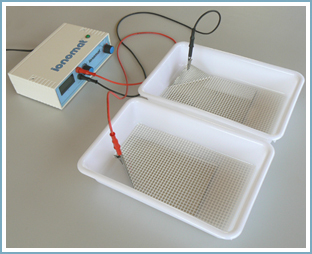 Thanks for your Iontophoresis story and experience ... wHich device have you used before the Idromed with pulsed current?